A wedding is a special time that is about family and friends - and including pictures and images as part of that special day is an important piece to making it a perfect celebration of love! Here are a few ideas that we love and we hope will inspire you to create your own version for your big day. Both of these items will bring your guests to tears! 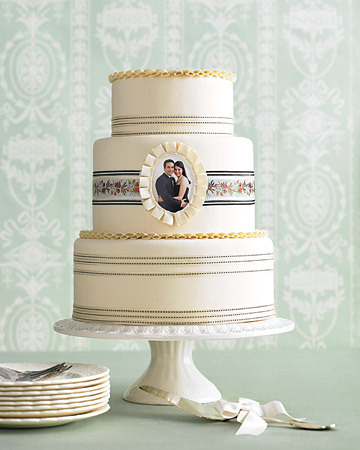 Click on the images to see more detail at Martha Stewart Weddings.